Need to store your RV, car, boat, or trailer? 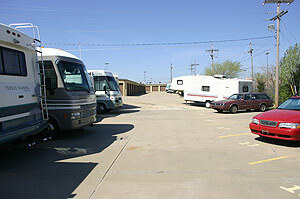 We can help you select the right size parking spot for your needs! 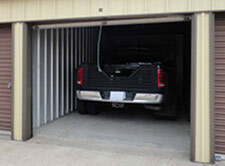 AAA Self Storage in Topeka, KS offers 10' x 20' and 10' x 30' outdoor parking spaces and 10' x 20', 10' x 25', 10' x 30', and 15' x 20' roll-top door units for inside parking. Whether you need to park your automobile, boat, trailer or RV to comply with homes association guidelines or city restrictions, or if you simply want to protect 'her' from the elements, we can help. Unable to store your vehicle at home? Keep your vehicle with us and have access 24 hours a day! 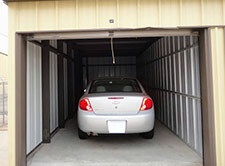 Are you looking for a storage unit in the Topeka area? Contact us today for a climate-controlled unit, non-climate controlled unit, parking space, or P.O. Box.